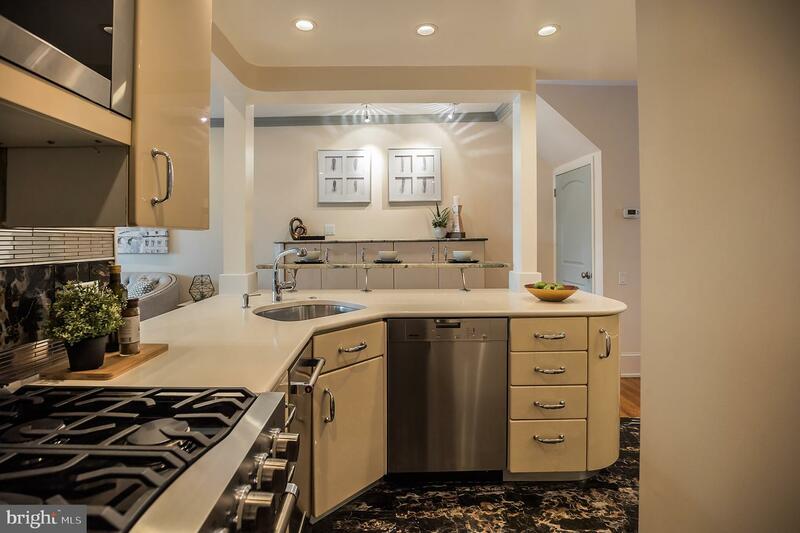 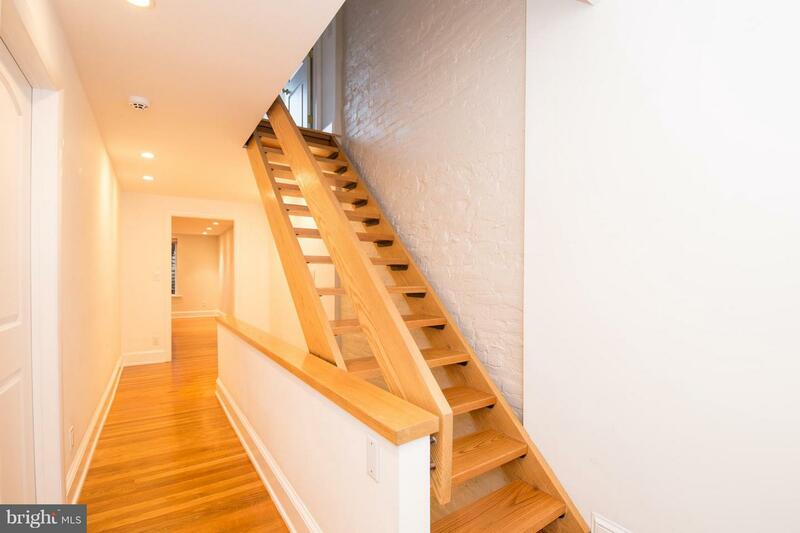 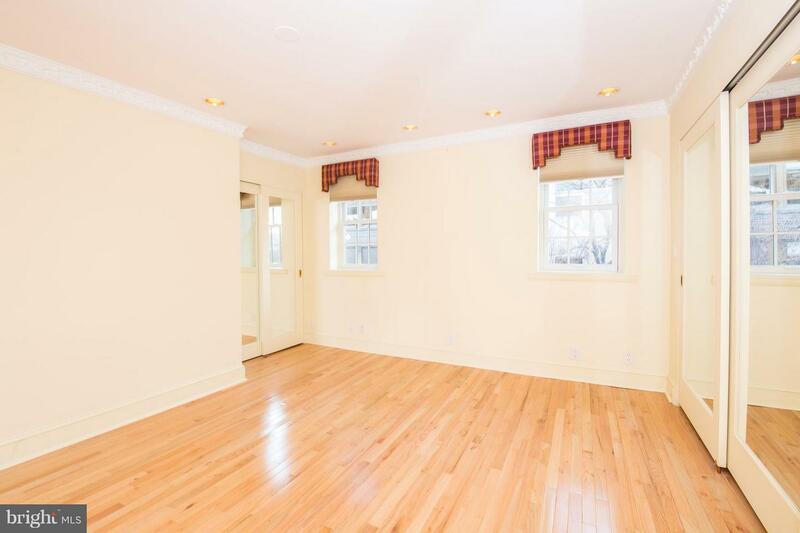 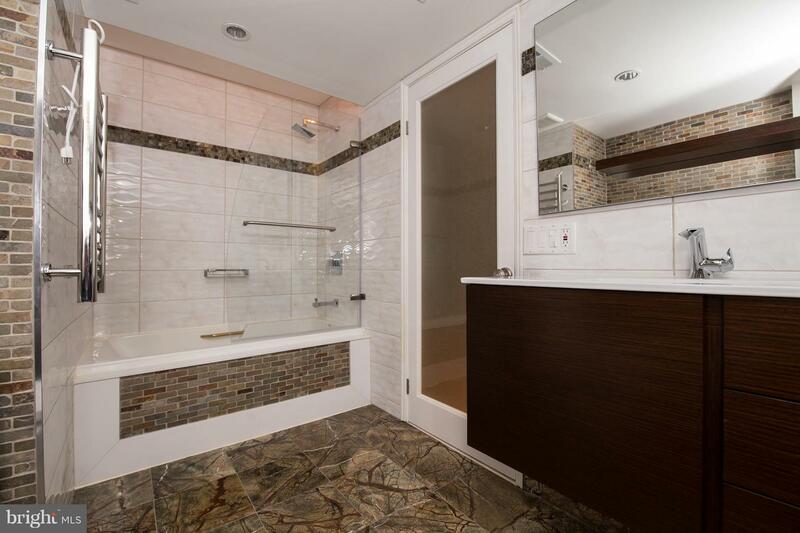 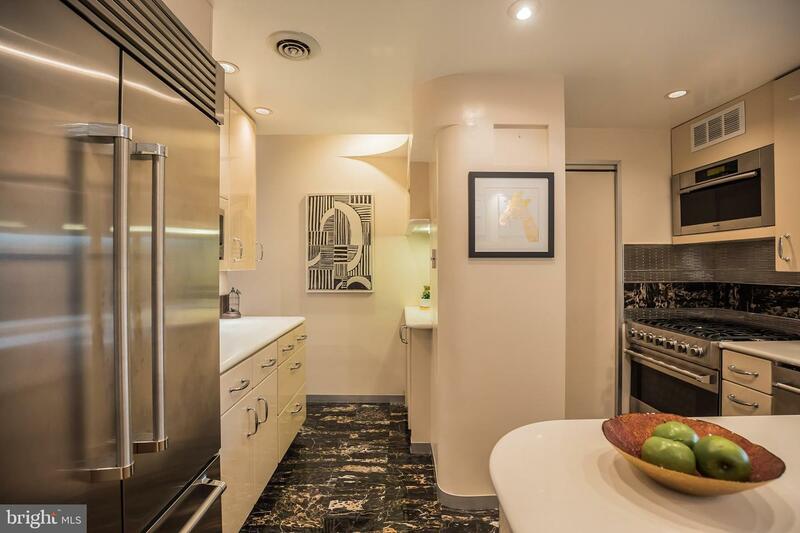 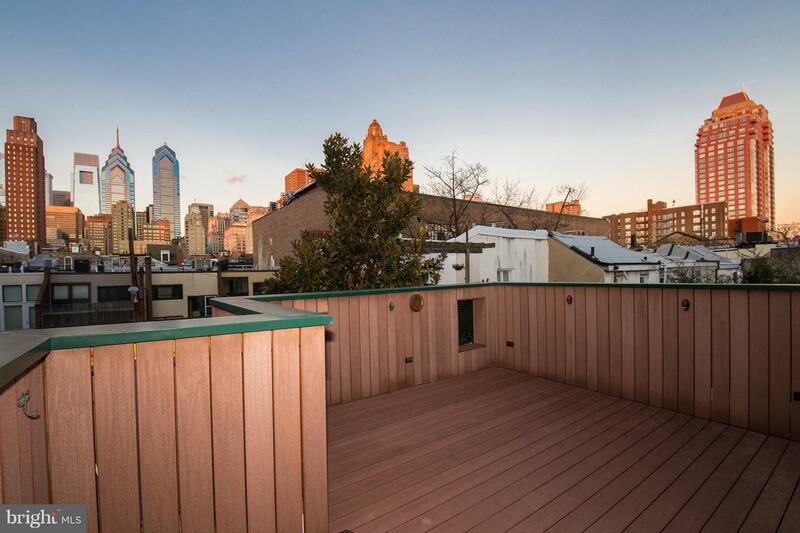 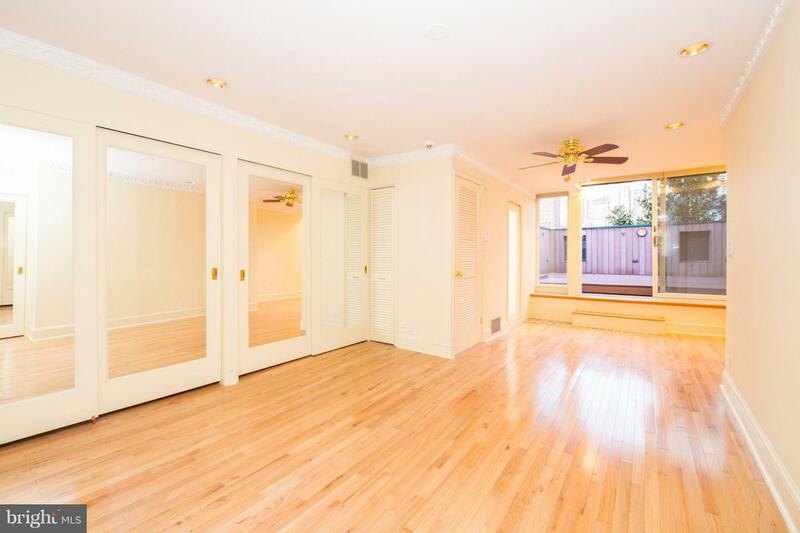 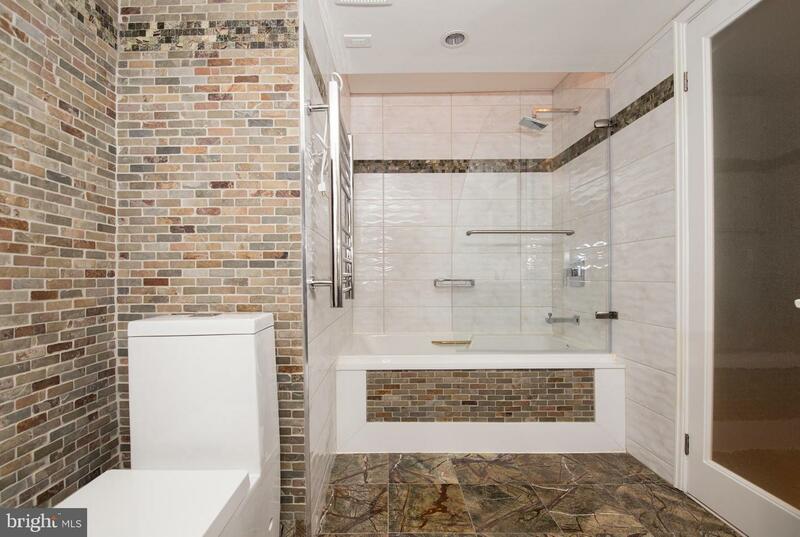 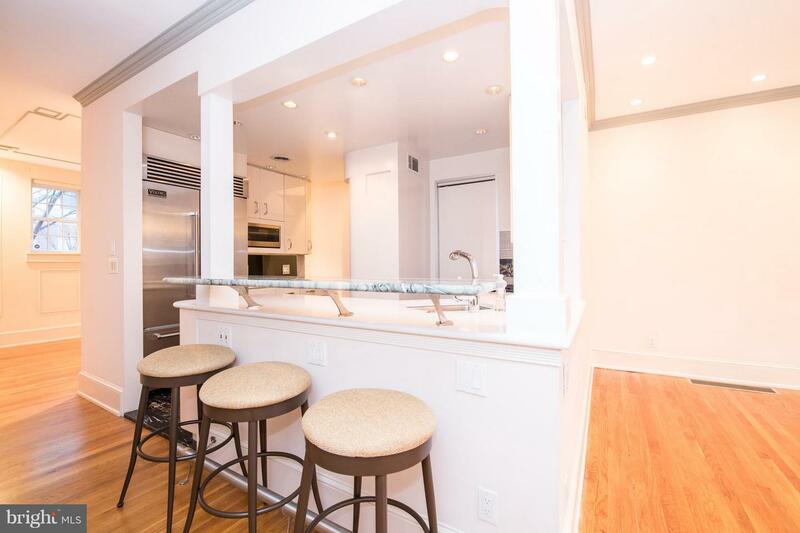 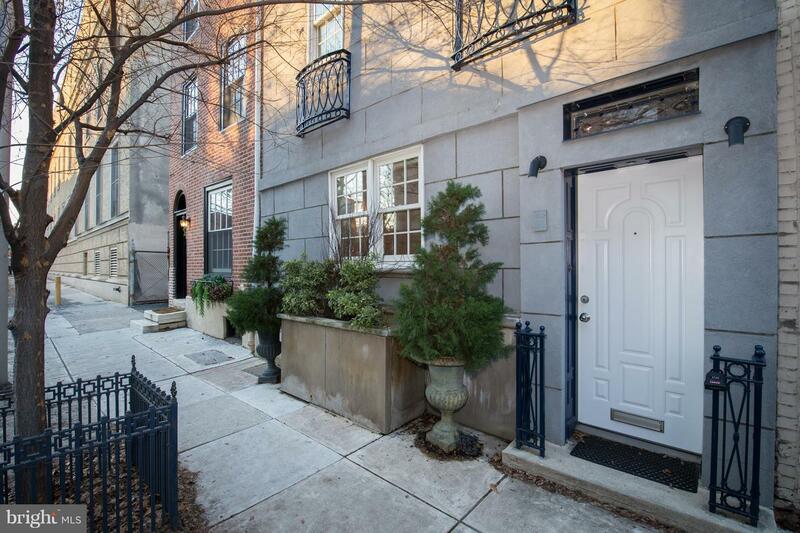 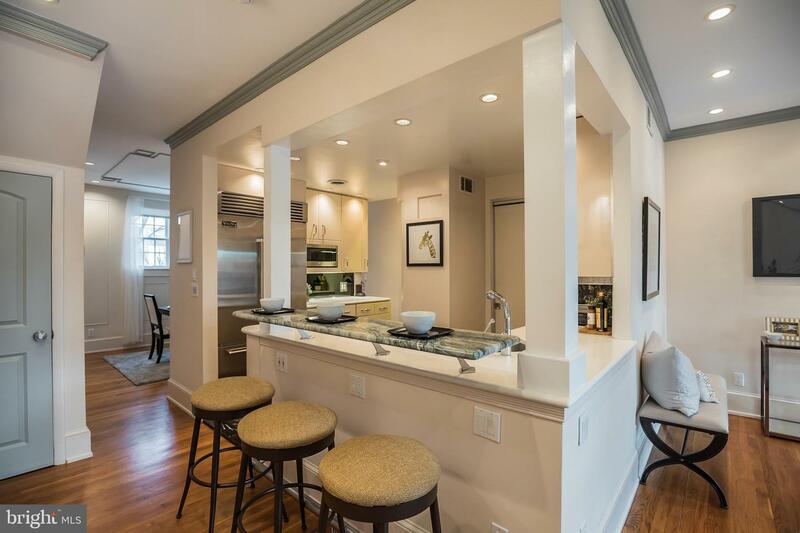 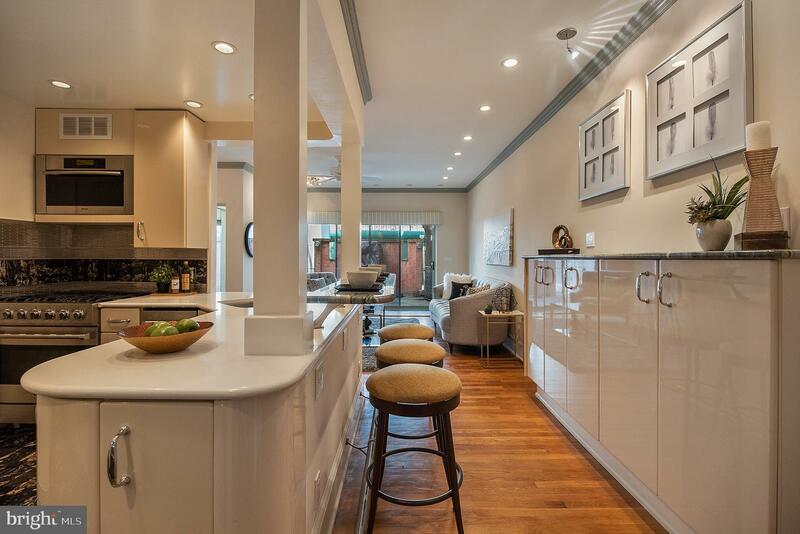 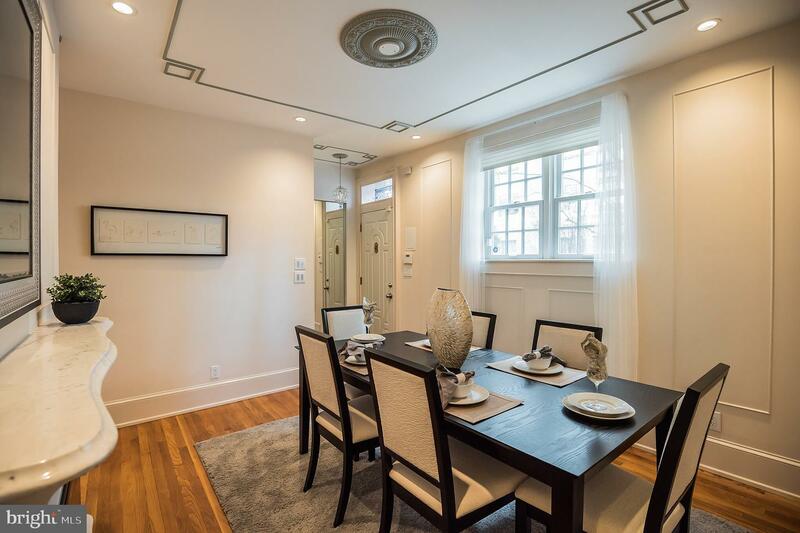 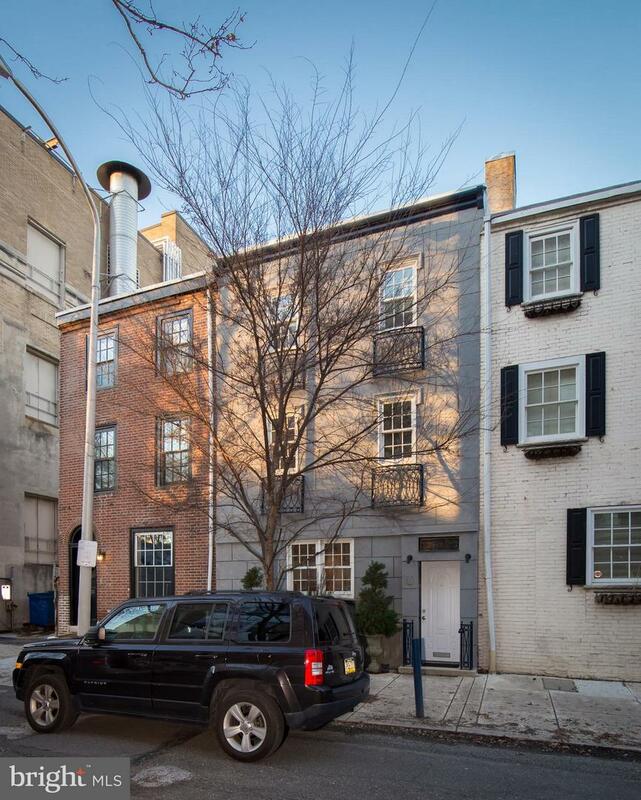 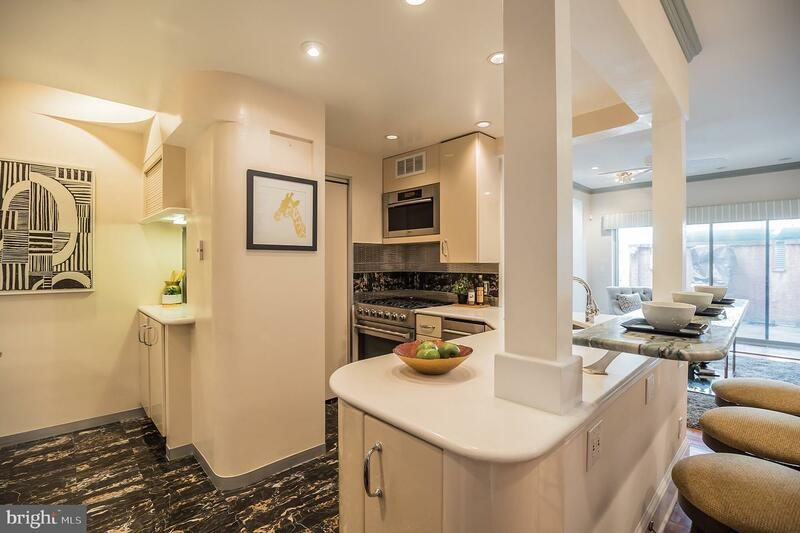 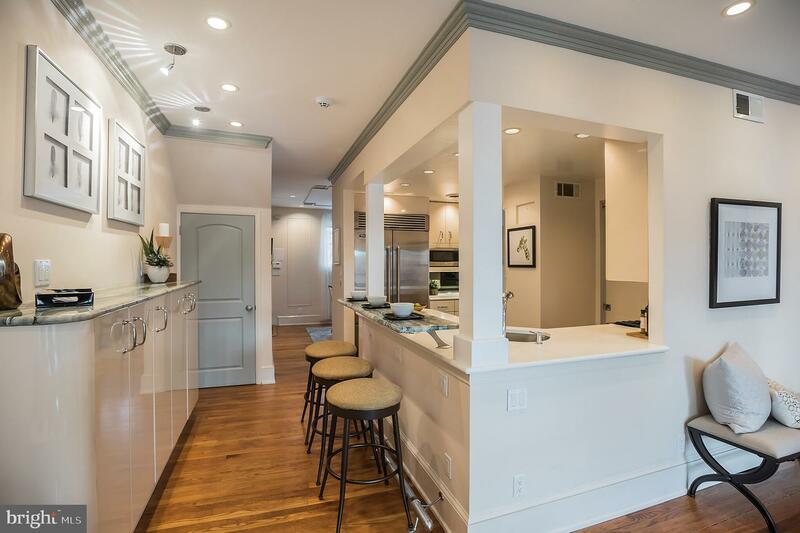 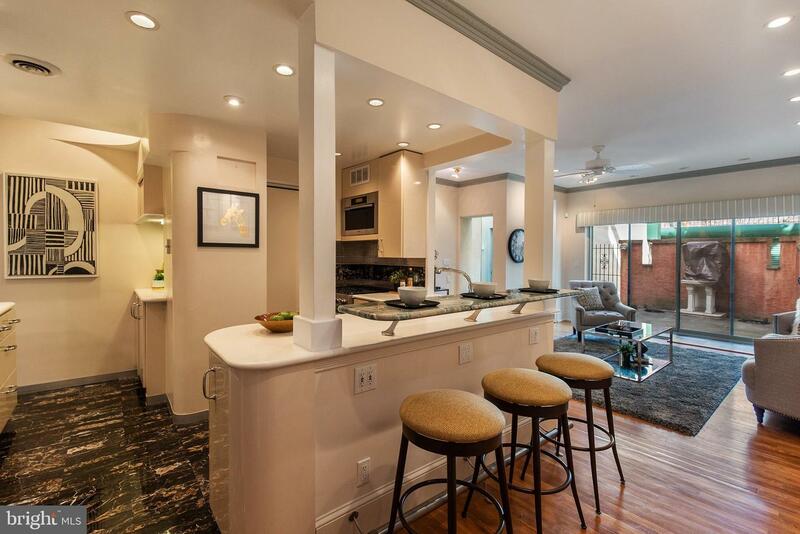 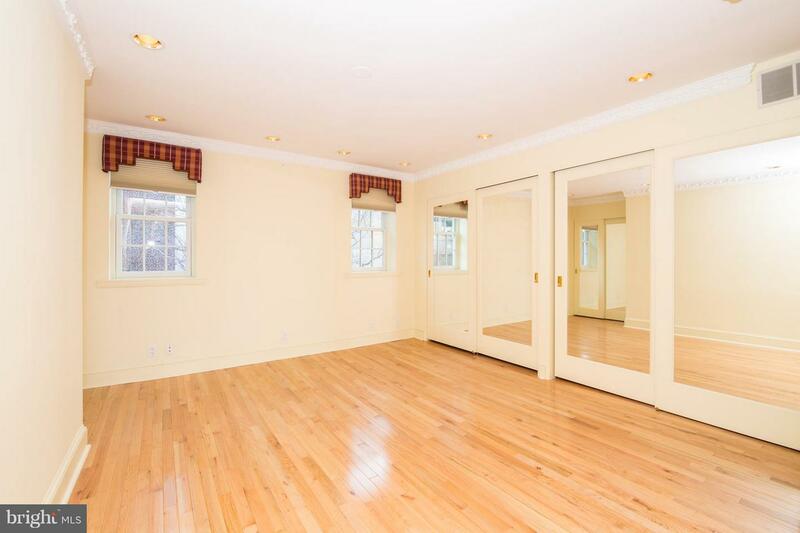 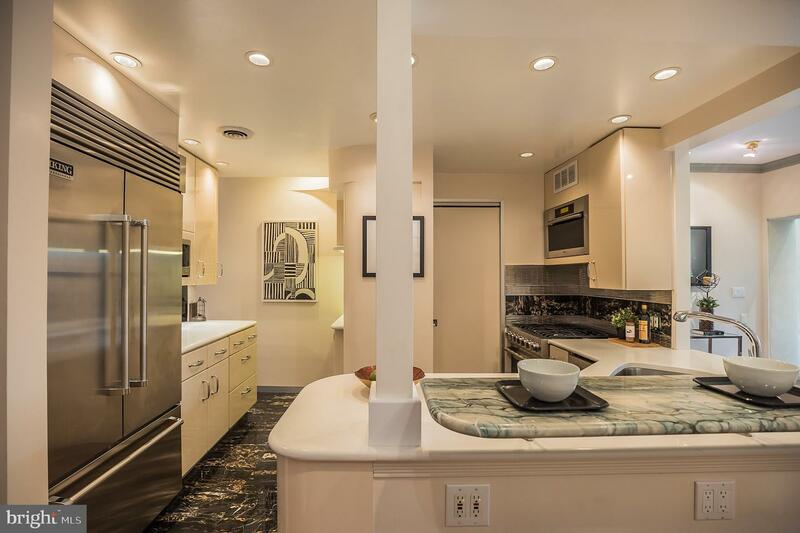 Fall in love with this 3 bedroom, 3.5 bath Rittenhouse Square home, through to back street with 2-car parking, rear yard, roof deck with skyline views, finished basement and more. 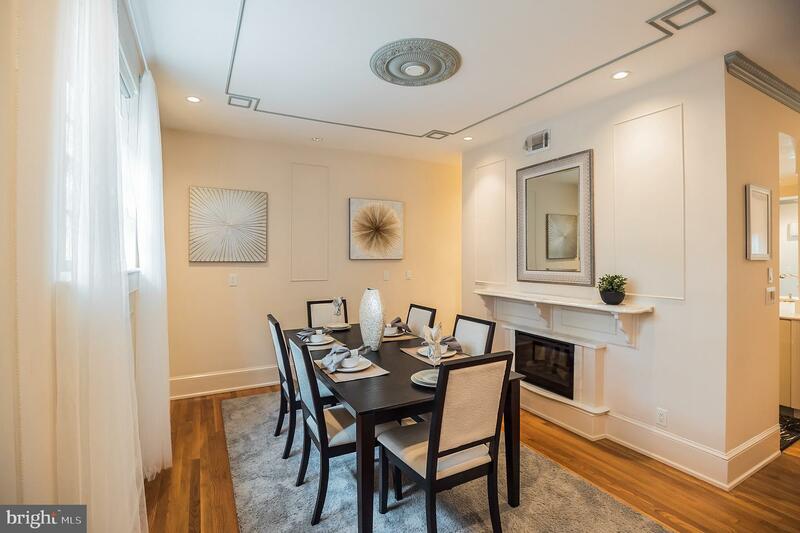 It begins with a tile foyer that leads into the dining room, which offers an electric fireplace with marble mantle and wainscoting. 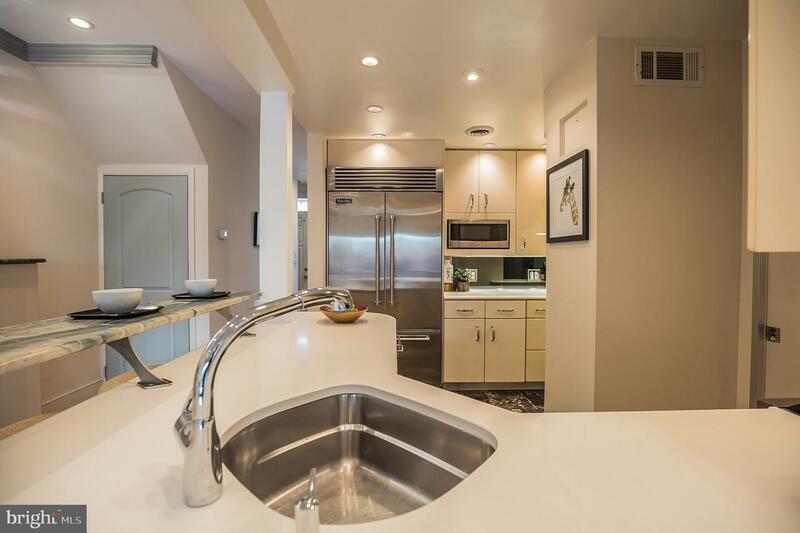 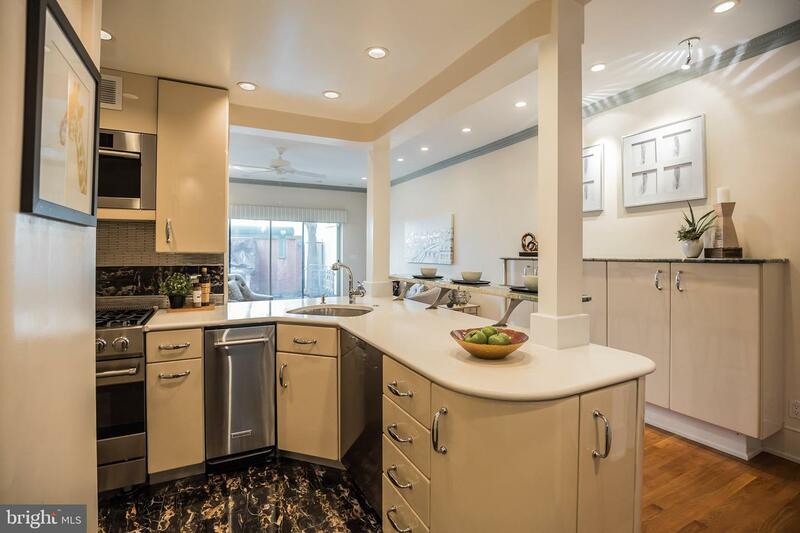 The kitchen features custom cabinetry, carrera countertops, a marble bar counter, stainless steel appliances (Viking & Miele) and a pocket door into a convenient half bath. 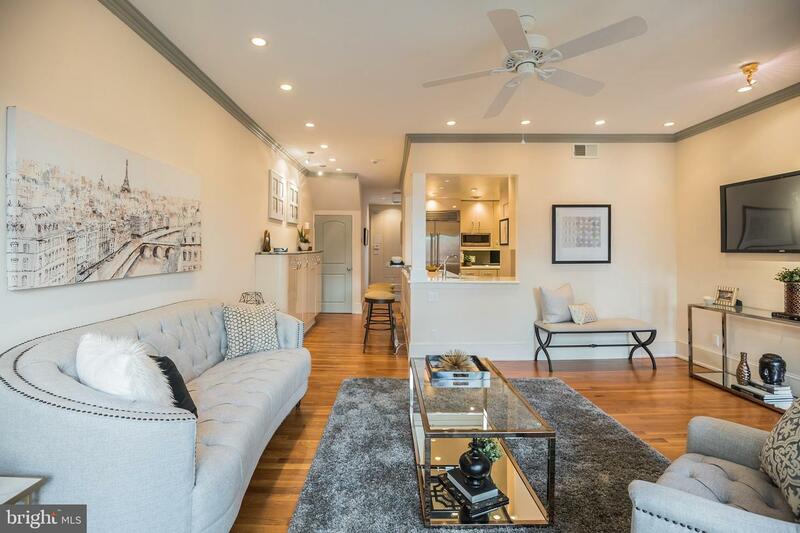 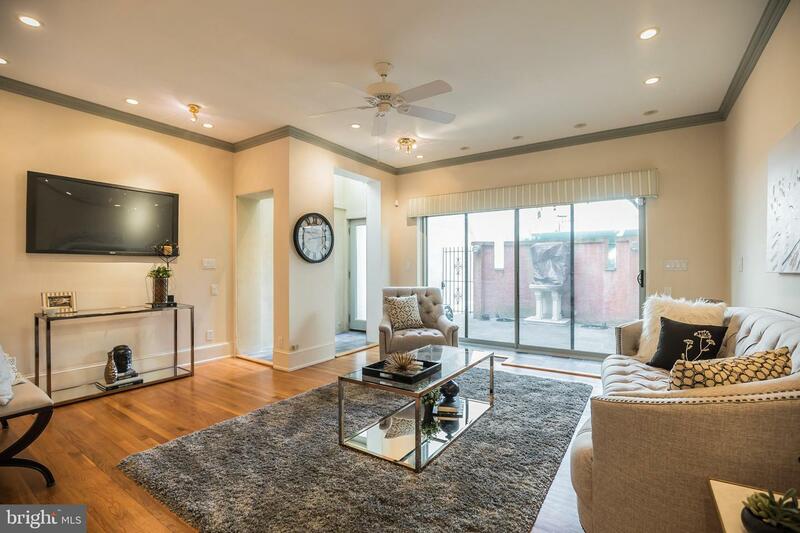 The open living room offers hardwood flooring, crown molding and a 12ft wide sliding glass door out to a slate patio with magnolia tree, ornate fountain and access to the 2-car gated parking. 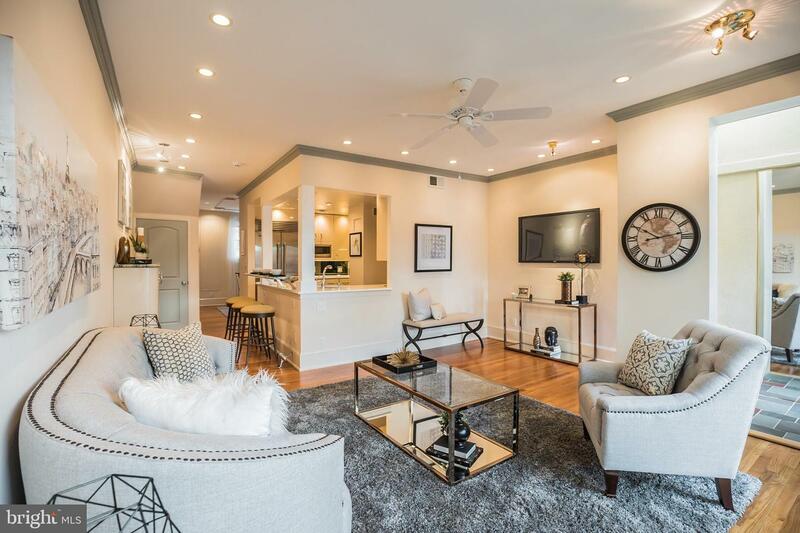 On the second floor you'll find two bedroom suites (one currently being used as an open den), both equipped with wood flooring, windows, ample closet space and private full tile bathrooms. 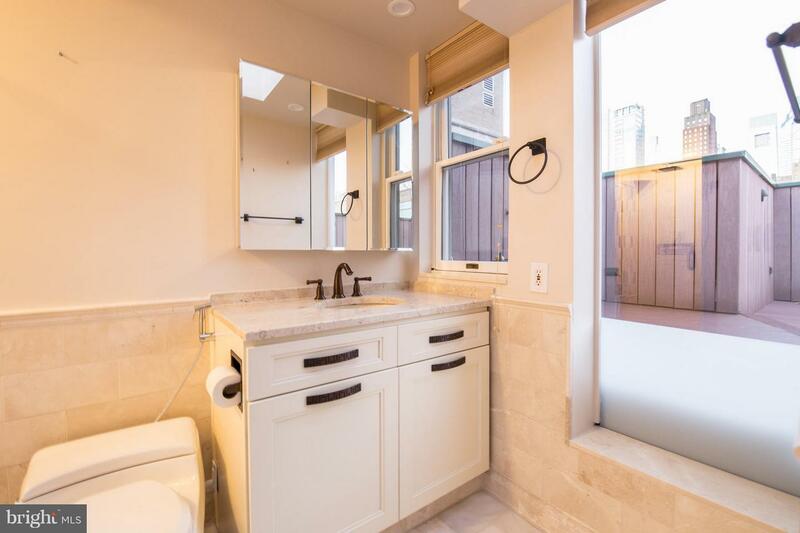 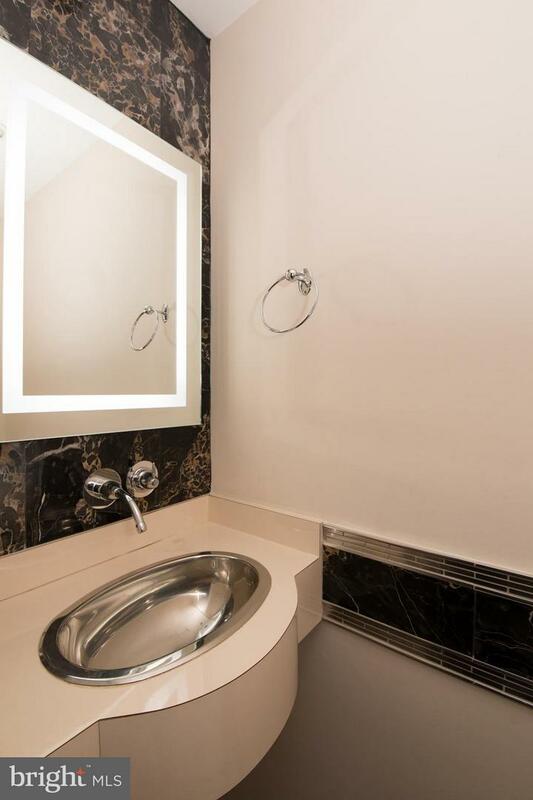 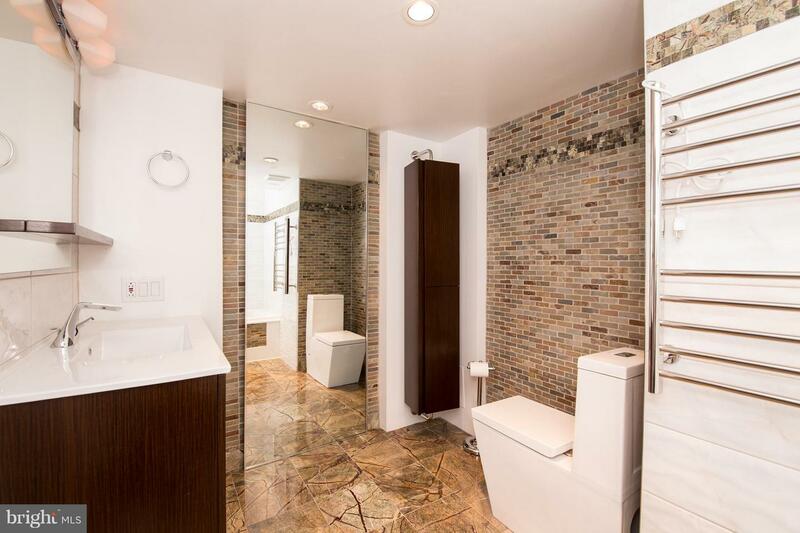 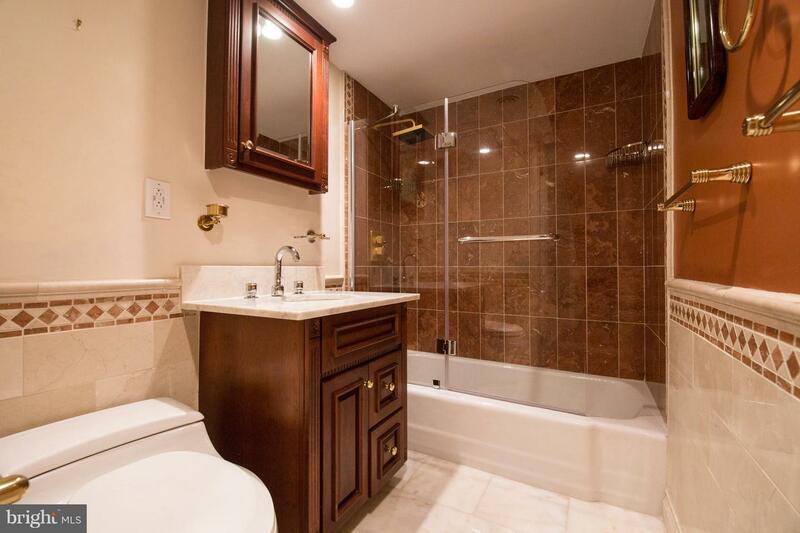 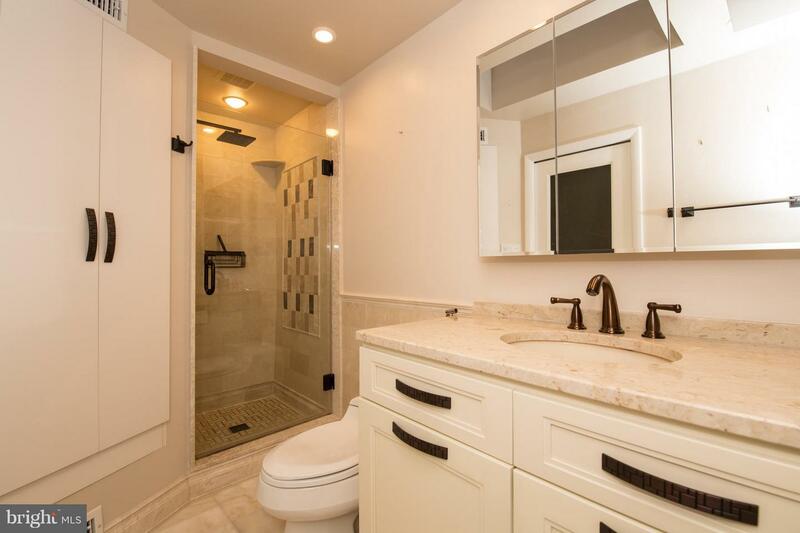 Behold the main bedroom suite, located on it's own private third floor, and featuring 3 closets, laundry and a beautiful marble and tile bath with stall shower, skylight and white vanity with marble countertop. 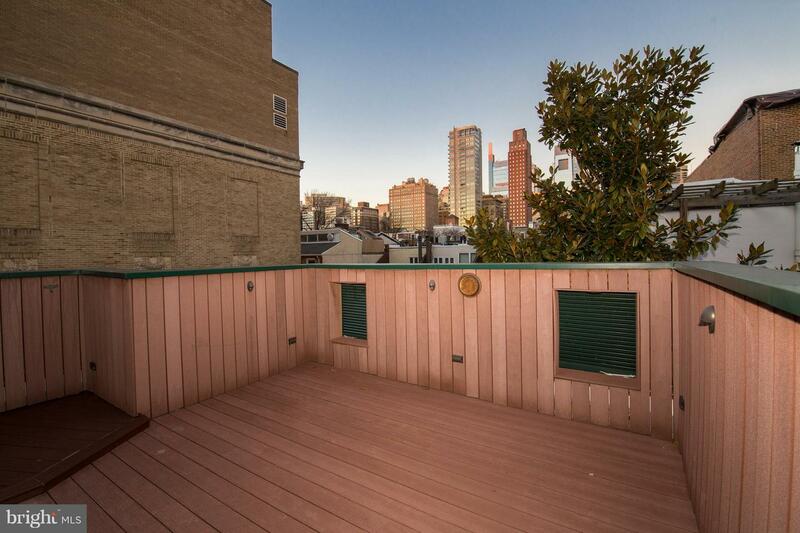 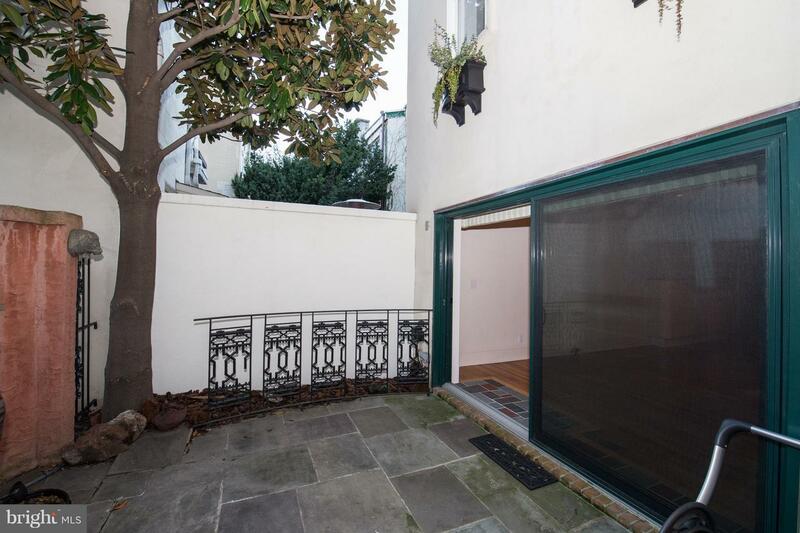 Sliding glass doors lead out to a spacious rooftop terrace with incredible skyline views. 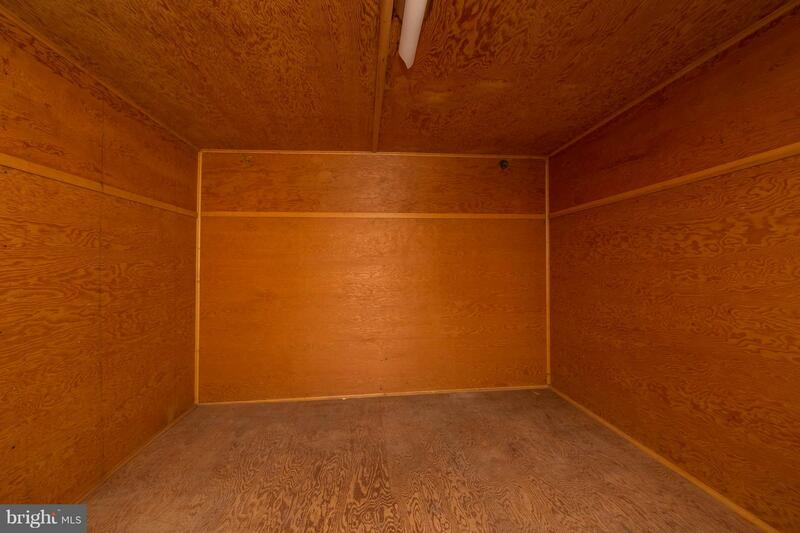 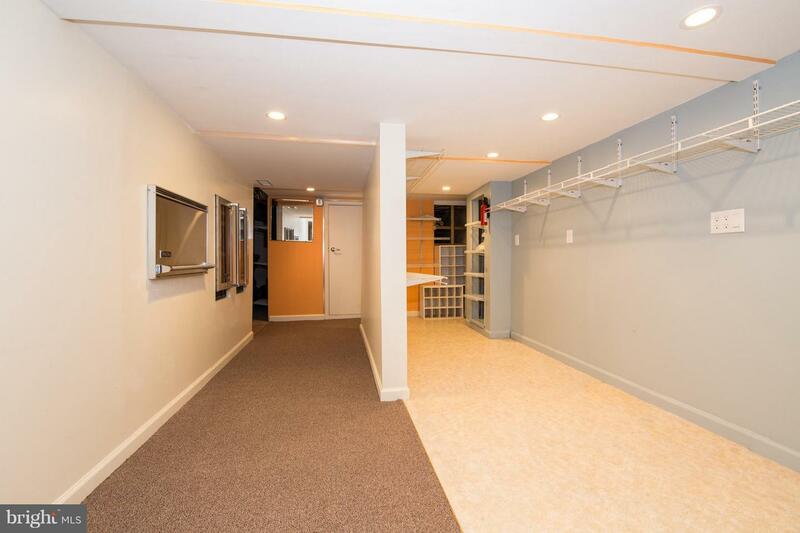 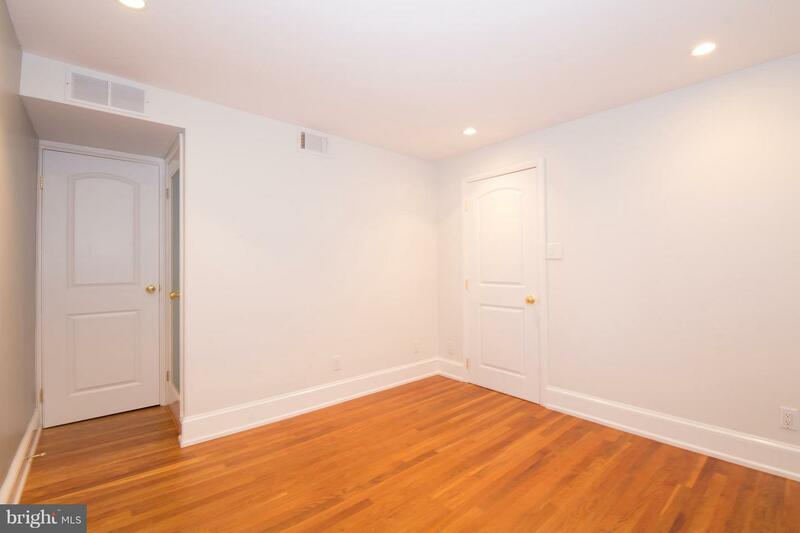 The mostly finished basement offers space for a family room, den or office, in addition to ample storage space and mechanicals. 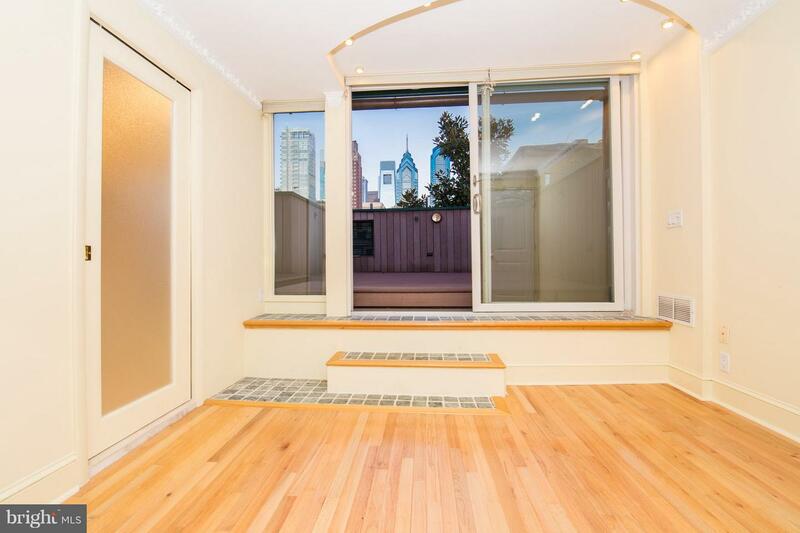 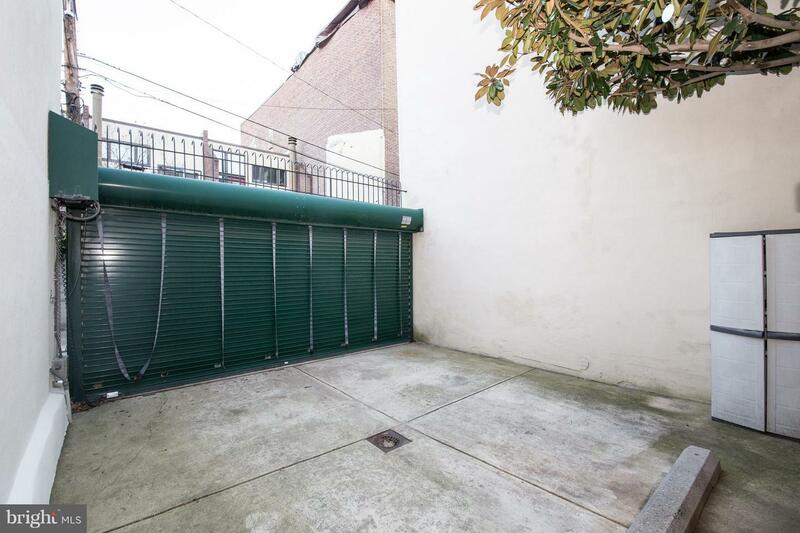 Enjoy living in Philadelphia's most beloved neighborhoods, with everything you can imagine at your fingertips! 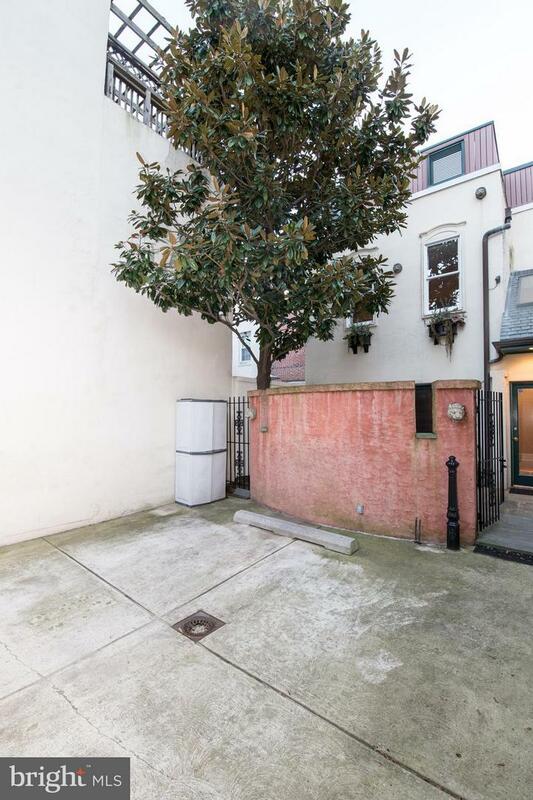 Walk to shops, parks, cafes, restaurants, theatre and so much more. 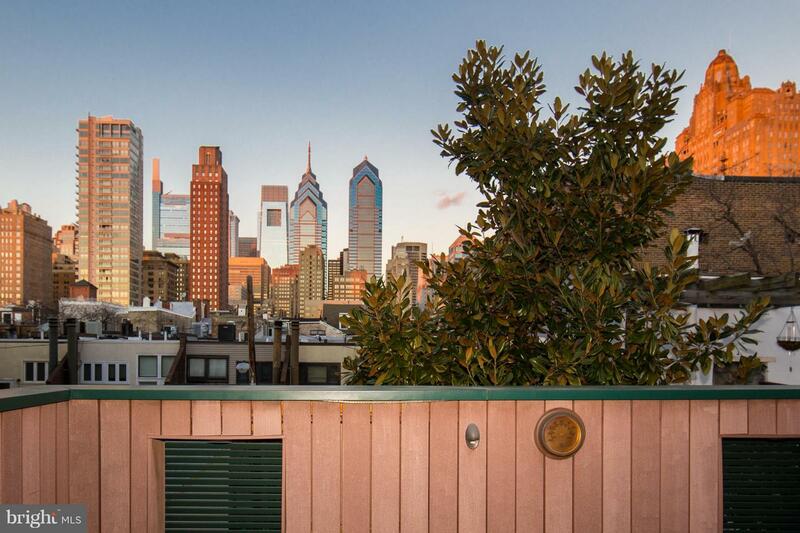 "Check OPA for 2019 taxes due to possible citywide reassessment."